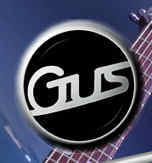 "All my guitars are now from Gus. My G1 is a class instrument and boldly stands up to any situation. Gus Guitars do not compromise anything, from design right through to the finishing process." Paul is one of our original users and helped out during the initial design and testing days when the Gus G1 was but a prototype! 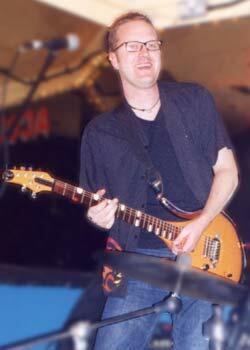 An extremely versatile and accomplished musician, Paul has worked with artists as diverse as Tom Jones, Paul Young and Ian Hunter (Mott the Hoople). He is also a skilled arranger/composer helping to pull the BBC's Perfect Day project together a few years back as well as lending his talents to numerous other TV and commercial projects - if you have a good memory for TV adverts, you may recall the Toyota Avensis ad from 2000 that featured Paul playing Hendrix' Voodoo Chile as the soundtrack. Paul's G1 is a Lambourgini Orange LH model with a unique 4+2 headstock, massive 'V' neck and sumptuous Snakewood fingerboard.